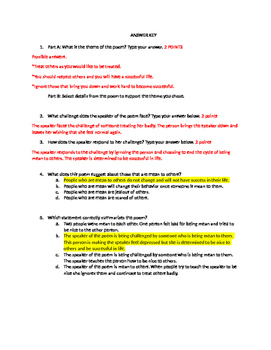 This is a short assessment that can be given to assess your students' knowledge of standard RL.5.2. I did not include the text to ensure that I would not be in violation of copyright materials. I used the lyrics to "Mean" by Taylor Swift as the text. You can find the lyrics by searching "Mean" by Taylor Swift on google. 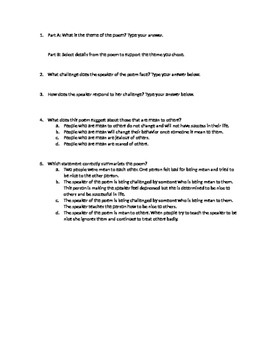 This file includes the questions that accompany the lyrics to assess standard RL.5.2.